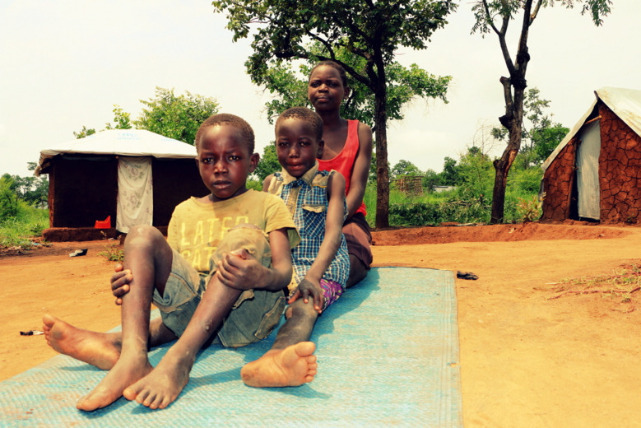 Psychologists and child welfare experts working in the Imvepi and Bidi Bidi refugee settlements of Uganda say nearly all children arriving in the country require psychosocial first aid. Most have suffered and witnessed terrible brutality as the civil war intensifies in South Sudan. A staggering 60 per cent need urgent specialist therapy to treat the effects of conflict-related stress disorders. The majority of children arriving at the Imvepi and Bidi Bidi refugee settlements have faced horrendous experiences. Most have witnessed killings and brutal violence. Some saw their parents murdered in front of them. Every child here has psychosocial needs and it can take a very, very long time for them to recover. If South Sudan’s children are not given the therapeutic interventions they need, it will affect generations to come. The international children’s charity has been collaborating with the Transcultural Psychosocial Organisation (TPO) to ensure children suffering from high levels of trauma get the specialist support they need. Children in these CFS are assessed for their psychosocial needs and referred to TPO specialists if they need advanced intervention. “Most of the children suffer nightmares, inability to sleep, and are withdrawn. Some have hallucinations – believing that people who attacked them in South Sudan have found them in Uganda. “Trauma is like a wound – a silent wound. When a silent wound is not treated, it keeps eating slowly. When trauma is not treated in early childhood, then it manifests in adulthood,” Namara explained. We need to tackle the extreme levels of conflict-caused trauma now. If this trauma is normalised, it can devastate children’s lives for generations to come as well as create a cycle of violence and underdevelopment in the region. The future of South Sudan is dependent on the mental health of these children. World Vision UK is on Friday (21 July 2017) launching its #BearsOnStairs campaign to highlight the devastating effect the conflict in South Sudan is having on the nation’s children. It will culminate with an installation on the steps of London’s iconic St Paul’s Cathedral on Thursday 27 July, where 700 teddy bears will be placed to represent the number of these children who arrive in Uganda each week. Tim Pilkington, CEO of World Vision UK said: “The horrendous crisis faced by South Sudan's refugees poses an urgent need for mental health relief. Children who have survived years of war don’t only have physical scars. They may carry mental scars from the conflict for the rest of their lives. “The Ugandan government and NGO partners on the ground are overwhelmed by this refugee crisis. Tens of thousands of distressed children are not getting the support they need to recover from the horrors of the South Sudan conflict. We’ve only scratched the surface of the mental health problems the war is leaving in its wake. “Child refugees’ mental health needs must be met to stop a cycle of violence that could threaten peace in South Sudan and across the East Africa region. The international community must step up and act now. “Please join us in raising awareness of their plight. Let the children of South Sudan know they are not alone,” Pilkington added.